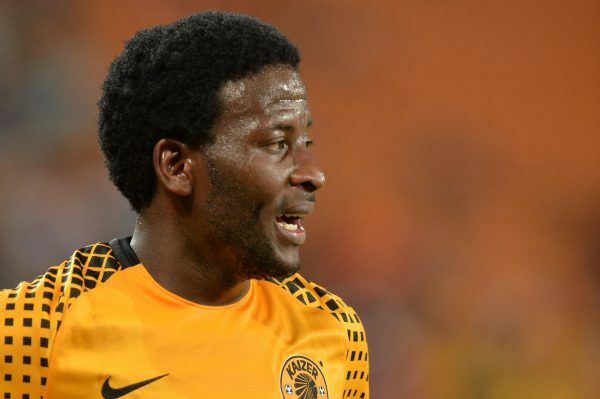 Kaizer Chiefs are still without a victory in this years Premiership after playing to a 1-1 draw with Baroka FC at the Peter Mokaba Stadium on Tuesday night. Coach Giovanni Solinas will start feeling the pressure now after the Amakhosi failed to win in their first three league matches. Baroka did not allow the more fancied Chiefs to settle down and used every opportunity to put pressure on the visitors. It was one of these pressure moments that led to the home side taking the lead in the 35th minute. Chiefs’ defender Leonardo Castro allowed a tame shot to bounce in the box. With Mduduzi Mdantsane piling on the pressure Castro attempted to rectify his mistake by heading the ball towards goalkeeper Itumeleng Khune. He only managed to play the ball past the on-rushing Khune and into the open net. Chiefs then threw everything at Baroka, but had to watch for the counter-attack, which was brilliantly led by the tricky Talent Chawaphiwa. The teams changed ends with the score level at 1-1. The second half was an exciting affair, with both teams creating several chances. Baroka was the first to threaten but wasted several good opportunities. Thereafter Gustavo Paez nearly capitalised on a Dlamini error, but he headed wide with the goal at his mercy. Mdantsane also headed over shortly thereafter as Chawaphiwa once again took the Chiefs’ defence for a ride. Chawaphiwa had an excellent match and made Chiefs’ right back Ramahlwe Mphalele work extremely hard for the whole match. Ranga Chivaviro also had a great chance to seal the match for Baroka, but he simply could not convert. With the number of scoring chances on both sides, neither one of the coaches would have left the Peter Mokaba Stadium a satisfied man. Baroka’s Wedson Nyirenda would probably have felt that his team deserved more. Khama Billiat tried his best for Chiefs, but was well looked after by the Baroka defence. After 95 minutes both teams had to be satisfied with a point, and the 15943 spectators would have left with lots of action but few goals.